Michael Walther was born on 9th March 1964 and raised in St.Gallen in the German speaking part of Switzerland. He currently lives in Flawil and is a journalist, text coach, author, editor, and lecturer. In 1995 he recieved the degree as journalist at the „MAZ – Swiss School of Journalism“, Lucerne. He worked as journalist and responsible editor of the local „Ostschweizer AZ“ newspaper from 1993 to 1996. Thereafter he was a freelance journalist for several Swiss newspapers and magazines. 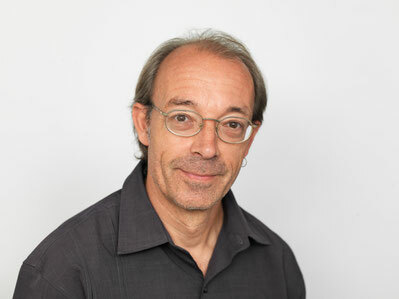 Since 1996 he has coached various editorial staffs and has served as lecturer in almost all Swiss schools of journalism. In 2000 he founded the „First Story Shop of the World“ (documented on www.geschichtenladen.ch). Since then he has completed several projects and book publications in the „oral history“tradition („Separated and Father... 16 Men Tell Their Stories“, 2004; „And They Are People on the Run“, 2005; „Making HIV Visible – Stories of People With HIV”, 2007; „Once They Were Refugees”, for UNCHR, 2009; „A Life Long”, SV Foundation, 2009). Michael Walther is head of the interest group “Freelance of the Swiss Media Syndicate Syndicom” (www.syndicom.ch). He was a board member of the “Swiss Association of Quality in Journalism” from 1999 until 2012. From 2004 until 2011 he studied psychology at the Open University Milton Keynes UK and completed his studies with a Bachelor's Degree. He is married and father of two daughters, born 1995 and 2008, and a son, born 2012. His interests are music, sports, travelling, and languages.